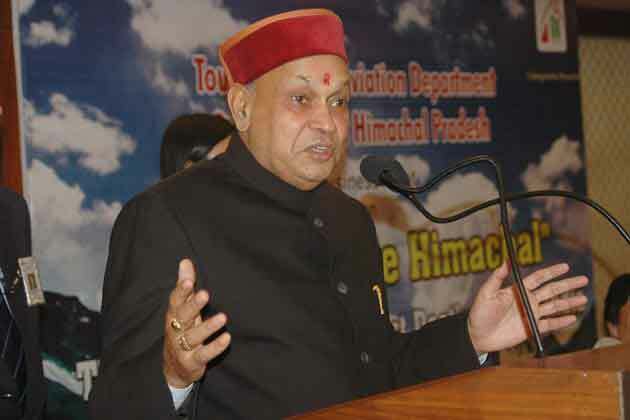 Former Himachal Pradesh chief minister P K Dhumal and state Bjp party chief Satpal Singh Satti have launched a blistering attack on the Congress government in the state, accusing it of making “backdoor appointments on chits” and shielding the mafia. “The era of appointments of favourites on chits, throwing all norms to winds is back and the government was making appointments in government departments, boards and corporations and banks in totally non-transparent manner,” they said adding that the government also intended to bring a policy to regularise these “favourites” before the next assembly elections. “This is gross injustice to educated unemployed youth and the Bjp would not allow it to happen,” they said and asserted that the Bjp would not allow such appointments and order a high level enquiry on its return to power. “The reports of backdoor appointments in forest, education and other departments and boards and corporations were pouring in for quite some time and now the State Tourism Development Corporation is making appointments of utility workers without following any procedure to accommodate favourites of ministers and members of board of directors,” they alleged. The Bjp leaders said that the countdown for the Congress government in the state has begun and realizing that the party would not return to power, Congress leaders were looting the state and land, mining, forest, liquor and transfer mafia was flourishing. All these irregularities would be incorporated in the chargesheet being prepared by the Bjp and the same would be probed after the party comes to power, they said.